I have some blocks on the wall this week, I missed last week. 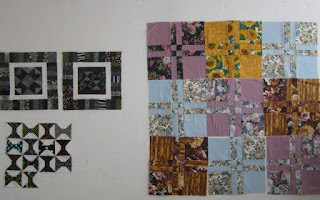 I have my black and grey blocks from the Rainbow Scrap Challenge to the left. 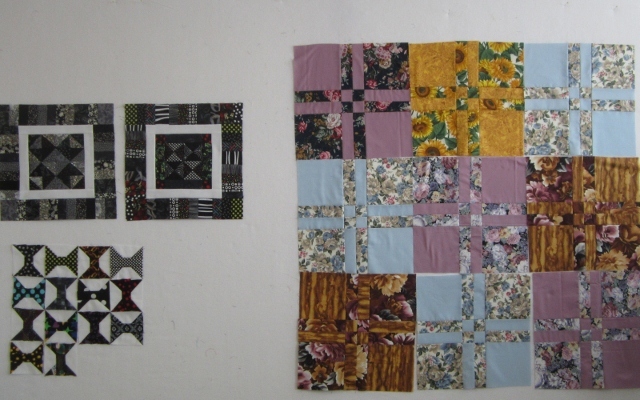 On the right is Disappearing Four Patch blocks that I need to get in the mail. I want to do a few more and then send them to Erin at My Patchwork Life. She is taking in blocks to make quilts for the victims of Sandy. I thought I could help a little. Check out what other are doing over at Patchwork Times. 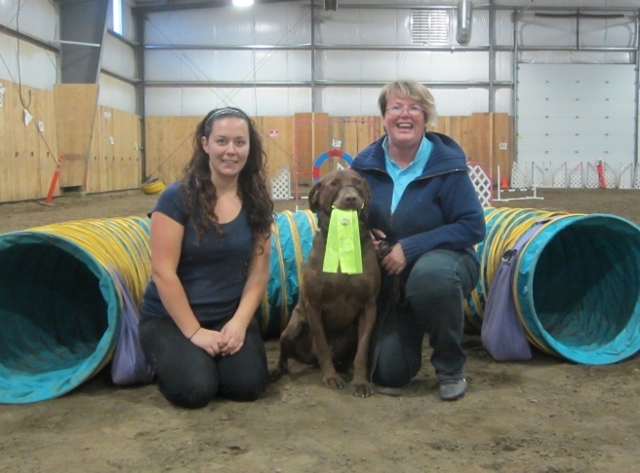 Lex and I had a good day on Sunday and got our second title in Agility, Starters Games Dog of Canada with AAC. We passed our 2nd Starters Jumpers and finished up the Starters Classes. I think I got extra smiley because Lex Loves to carry his Ribbons, the whole rosette part is in his month with the tails hanging out. Love those disappearing 4 patch blocks....gotta get mine in the mail too. Congratulations on the agility work...Lex looks very happy! That is a classic picture of Lex. I don't even know him, but he looks so proud! I like the spools on your design wall, and I love your dog carrying his ribbons! I have a lab too, and they are the best! Lex looks so proud of himself, as he should be.